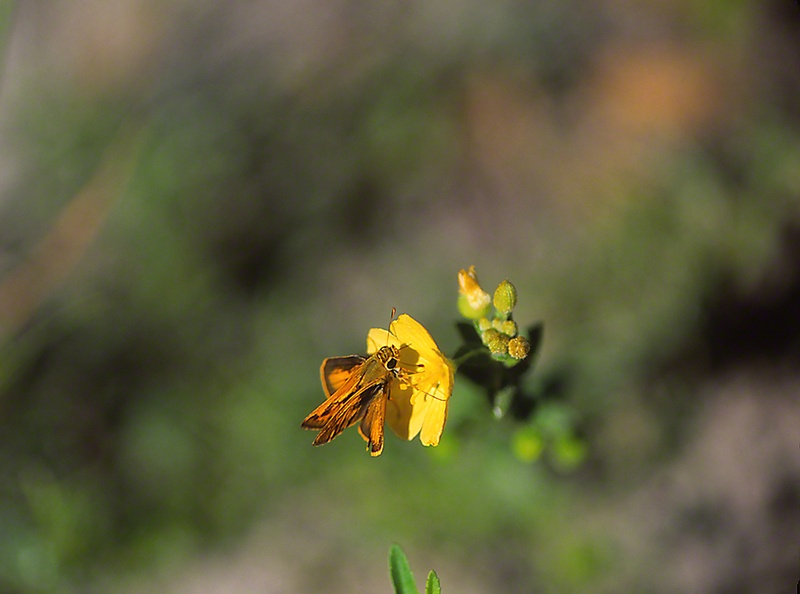 Skipper Butterfly photographed by Jeff Zablow in Big Bend Wildlife Management Area, Florida. He flew to this blossom, and took his time, nectaring happily in the Florida Panhandle morning sunshine. August 2015, and that long dreamed of trip to Florida, destination? Big Bend Wildlife Management Area. He was sipping nectar. I had to make a split second decision. Do I pursue good images of him, and then . . . encounter the usual difficulty in identifying which species of skipper he belongs to? Do I do that, knowing that skipper butterflies down there are difficult to approach, as I must with my macro- lens? Then, too, do I once again pour through my field guides, with the expected Huh? result?? Sure, I did. It’s Florida, you came because you are an esthete, or a naturalist, or curious, and/or all of the aforementioned positives. Anyway, perhaps Jeff or Phil or Rose or Robert himself will take the time to make a plausible ID. I was in Florida for the 2nd time. It was gorgeous out, I was Blessed to be doing this, and this tiny butterfly was just a Shout Out! Life is Good, my winged beauty butterfly readers. ← This Gal Looks Very Familiar . . .